Jan Józef Baranowski was born on 7 September, 1805, in Śmiłowiczach (now Смілавічы, Беларус), in the family of Polish nobleman Marcin Baranowski (from Grzymała clan) and his wife Maryanna z Szalkiewiczów. Jan Józef was educated in a noble boarding school in Śmiłowiczach, then in a classical gymnasium in Minsk. In 1821 he enrolled Vilnius University, studying physics and mathematics, but in 1825 he transferred to the faculty of law, obtaining in this field a degree of bachelor in 1828. Immediately after graduating in 1828, Baranowski was employed in the office of Polish Bank in Warsaw. In 1830-1831 Baranowski took part voluntarily in the November Uprising, participating in many battles. At the end of the uprising he retreated to Austria where he was interned. 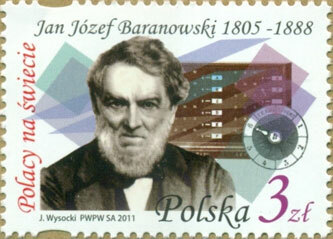 Since 1832 Baranowski was in exile in France. Initially he settled in Gray, Lyon and Chalon-sur-Saône, where he worked as a banker and trader in department stores. In 1837 he moved to Paris, taking a job as a teller in the bank Jelski, Dussard et Compagnie. In the years 1843-1848 he worked as an inspector of the rail-road Paris-Rouen-Le Havre. For the purposes of the company's he developed a bookkeeping system, that was highly appreciated and implemented by other French railway companies. In 1848 Baranowski quit his job and devoted himself entirely inventive activities. In the next years he patented 17 inventions, between them: gas meter, ticketing machine, printing machine for tickets, automatic railway signaling (semaphore), several calculating devices (tax machine, voting machine, and 2 calculating machines). 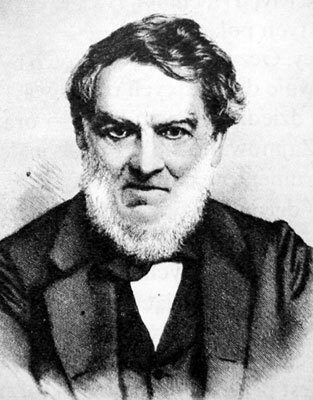 Jan Józef Baranowski died on 30 March, 1888, in London.